Darling Clear Water Range Of Pumps Consists Of Clear Water Pumps. They Are Ideal For Housing & Commercial Complex, Agricultural Farming, Sprinkler & Drip Irrigation, River Water Pumping, Village & Municipal Water Supplies, Fountains & Waterfalls, Domestic & Gardening, Industrial & Hospital Applications, A.C. Plants, Cooling Towers, Mass Water Transfer & Many More Applications. 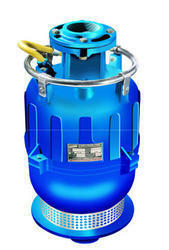 Dewatering Pump Submersible Today Has One Of The Widest Range Of Submersible Dewatering Pumps. Darling Dewatering Range Of Pumps Consists Of LJ Series, J Series, T Series, Tuff Series, TL Series & JL Series Pumps. " They Are Ideal For Basement Dewatering, Pumping Heavily Contaminated Water With Sand, Gravel & Sludge In Construction Sites & Mines, Industrial Processes, Pits, Quarries, Narrow Coffers, Dams Well Point Dewatering, Mass Water Transfer/Dewatering & Many More Such Applications. 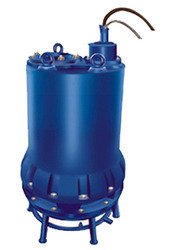 Darling Pumps Today Has One Of The Widest Range Of Dewatering Pump Submersible. Darling Dewatering Range Of Pumps Consists Of LJ Series, J Series, T Series, Tuff Series, TL Series & JL Series Pumps. " They Are Ideal For Basement Dewatering, Pumping Heavily Contaminated Water With Sand, Gravel & Sludge In Construction Sites & Mines, Industrial Processes, Pits, Quarries, Narrow Coffers, Dams Well Point Dewatering, Mass Water Transfer/Dewatering & Many More Such Applications. 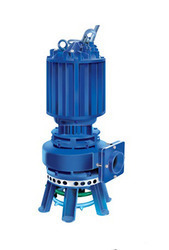 Darling Pumps Today Has One Of The Widest Range Of Submersible Dewatering Pump. Darling Dewatering Range Of Pumps Consists Of LJ Series, J Series, T Series, Tuff Series, TL Series & JL Series Pumps. " They Are Ideal For Basement Dewatering, Pumping Heavily Contaminated Water With Sand, Gravel & Sludge In Construction Sites & Mines, Industrial Processes, Pits, Quarries, Narrow Coffers, Dams Well Point Dewatering, Mass Water Transfer/Dewatering & Many More Such Applications. 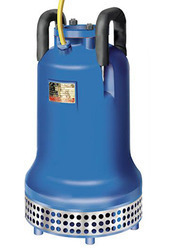 Darling Pumps Today Has One Of The Widest Range Of Submersible Dewatering Pumps. Darling Dewatering Range Of Pumps Consists Of LJ Series, J Series, T Series, Tuff Series, TL Series & JL Series Pumps. " They Are Ideal For Basement Dewatering, Pumping Heavily Contaminated Water With Sand, Gravel & Sludge In Construction Sites & Mines, Industrial Processes, Pits, Quarries, Narrow Coffers, Dams Well Point Dewatering, Mass Water Transfer/Dewatering & Many More Such Applications. 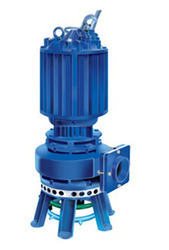 Darling Waste Water Range Of Pumps Consists Of Waste Water Pump. They Are Ideal For Drainage application in Hotels, Hospitals, Treated waste in ETP /STP, Pressurized Sewage Systems, Septic tank cleaning & for dewatering of waste water in Housing & Commercial Complex, Malls, Hospitals Hotels etc. These pumps are ideal for kitchen waste pumping & are available with & without cutter arrangement. 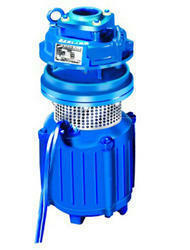 Darling Waste Water Pump Submersible Consists Of DC, WV, WR, WP, DG & GP Series pumps. They Are Ideal For Drainage application in Hotels, Hospitals, Treated waste in ETP /STP, Pressurized Sewage Systems, Septic tank cleaning & for dewatering of waste water in Housing & Commercial Complex, Malls, Hospitals Hotels etc. 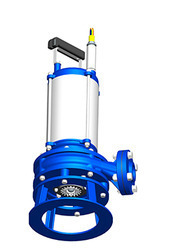 These pumps are ideal for kitchen waste pumping & are available with & without cutter arrangement. 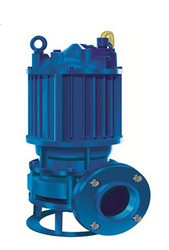 Darling Waste Water Range Of Pumps Consists Of Waste Water Pump. They Are Ideal For Drainage application in Hotels, Hospitals, Treated waste in ETP /STP, Pressurized Sewage Systems, Septic tank cleaning & for dewatering of wastewater in Housing & Commercial Complex, Malls, Hospitals Hotels etc. 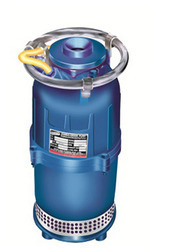 These pumps are ideal for kitchen waste pumping & are available with & without cutter arrangement. 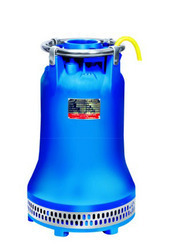 Darling Slurry handling range of pumps consists of Submersible Slurry Pumps. They are ideal for Ash Handling Plants, Coal Handling Plants, Coal Washeries, Scale Mill Pits, Waste Sludge Handling, Iron Ore/dust pumping, De-silting of Waste Collections, Dredging Deep Deposits, Sludge Transfer, De-silting of Water Intakes, Ceramic slurry pumping, Petroleum, Chemical & Process industry & many more such applications. 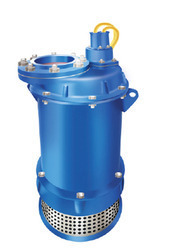 Darling Slurry handling range of Submersible Slurry Pump consists of 4HD Series, Dredger Series & CL-Series " They are ideal for Ash Handling Plants, Coal Handling Plants, Coal Washeries, Scale Mill Pits, Waste Sludge Handling, Iron Ore / dust pumping, De-silting of Waste Collections, Dredging Deep Deposits, Sludge Transfer, De-silting of Water Intakes, Ceramic slurry pumping, Petroleum, Chemical & Process industry & many more such applications. 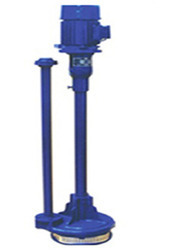 Darling Slurry handling range of pumps consists of Submersible Slurry Pumps. They are ideal for Ash Handling Plants, Coal Handling Plants, Coal Washeries, Scale Mill Pits, Waste Sludge Handling, Iron Ore / dust pumping, De-silting of Waste Collections, Dredging Deep Deposits, Sludge Transfer, De-silting of Water Intakes, Ceramic slurry pumping, Petroleum, Chemical & Process industry & many more such applications. 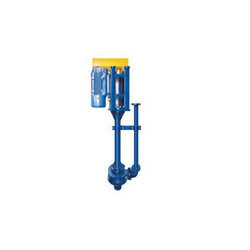 Darling Slurry handling range of Wet Pit Pump consists of 4HD Series, Dredger Series & CL-Series " They are ideal for Ash Handling Plants, Coal Handling Plants, Coal Washeries, Scale Mill Pits, Waste Sludge Handling, Iron Ore / dust pumping, De-silting of Waste Collections, Dredging Deep Deposits, Sludge Transfer, De-silting of Water Intakes, Ceramic slurry pumping, Petroleum, Chemical & Process industry & many more such applications. 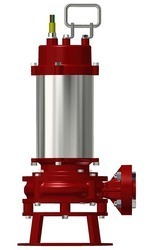 Darling Sewage handling range of Sewage Pump consists of Unclog Series, Vertical Wet Pit Series - Enviro Pumps & Sump Pumps " They are Ideal for Pumping heavily contaminated water with Sand, various sewage applications Industrial Waste & Effluents, Sludge Removal, Raw Sewage, Slurry, Pumping Stations, Boiler Room, Chemical Plants, Underpasses, Lifting Stations, Sewage works, Open Cast Mines, River Pollution Cleaning, Tanneries, Govt. ETP & STP Plants & many more such applications. 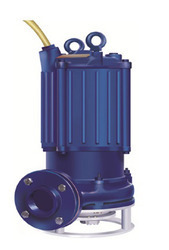 Darling Sewage handling range of Submersible Sewage Pump consists of Unclog Series, Vertical Wet Pit Series - Enviro Pumps & Sump Pumps " They are Ideal for Pumping heavily contaminated water with Sand, various sewage applications Industrial Waste & Effluents, Sludge Removal, Raw Sewage, Slurry, Pumping Stations, Boiler Room, Chemical Plants, Underpasses, Lifting Stations, Sewage works, Open Cast Mines, River Pollution Cleaning, Tanneries, Govt. ETP & STP Plants & many more such applications. 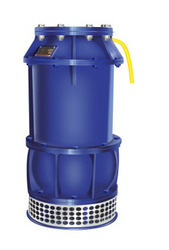 Darling Sewage handling range of Sewage Sump Pump consists of Unclog Series, Vertical Wet Pit Series - Enviro Pumps & Sump Pumps " They are Ideal for Pumping heavily contaminated water with Sand, various sewage applications Industrial Waste & Effluents, Sludge Removal, Raw Sewage, Slurry, Pumping Stations, Boiler Room, Chemical Plants, Underpasses, Lifting Stations, Sewage works, Open Cast Mines, River Pollution Cleaning, Tanneries, Govt. ETP & STP Plants & many more such applications. 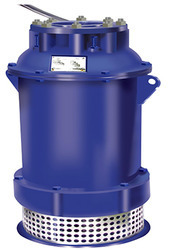 Darling Sewage handling range of pumps consists of Unclog Series, Vertical Wet Pit Series - Enviro Pumps & Sump Pumps " They are Ideal for Pumping heavily contaminated water with Sand, various sewage applications Industrial Waste & Effluents, Sludge Removal, Raw Sewage, Slurry, Pumping Stations, Boiler Room, Chemical Plants, Underpasses, Lifting Stations, Sewage works, Open Cast Mines, River Pollution Cleaning, Tanneries, Govt. ETP & STP Plants & many more such applications.